Conservation falls into a few different categories all of which we try to cover here at Amazon World. It may seem the simplest but this is probably the most complex category of them all! It's not as easy as just putting two animals of the same species together and letting them get on with it. 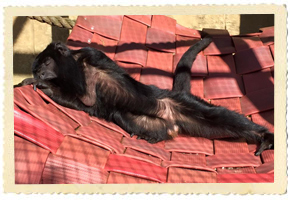 One of the roles of modern zoos is to safeguard species for the future. To do this we must make sure that 'genetically' our animals are exactly the same as those found in the wild, that we don't allow them to become 'inbred'. This means that all of our animals involved in breeding programs have a Pedigree, just the same as a pedigree dog. Many of the very endangered species have either a 'Stud book keeper' or species co-ordinator that looks after the overall breeding of a species. This means that if we want to pair up, for example, a male Golden Lion Tamarin, we must first contact the stud book keeper who will know if there are any potential females available that are not related to our male. He or she will then notify the zoo with a suitable female to transfer her to us. It sounds complicated doesn't it! Well if you add to this the fact that the female may be coming from as far away as Europe, USA, Australia or even Japan then it starts to get even more complicated and she'll have to spend 6 months in quarantine too! So being part of these programs is very hard work and it does cost a lot of money, but because we are dedicated to conserving the world's wildlife for future generations we are proud to play our . Here are just some of our animals that are part of European or International breeding programs: Geoffroys' Cat, Tamandua Anteater, Red Ruffed Lemur, Black and White Ruffed Lemur, African Black-footed Penguin, Golden Lion Tamarin, Golden-headed Lion Tamarin, White-fronted Marmoset, Red-bellied Tamarin, Kinkajou, Sun Bittern, Goeldis' Monkey, Black Howler Monkey, Silvery Marmoset, Emperor Tamarin, Hoffman's Sloth, Fennec Fox and Squirrel Monkey. This again is not an easy topic! Striking a balance between enough information on our animals and too much is very difficult, after all if there are too many signs on an enclosure you might not be able to see the animals! Our animals signs contain information on distribution, diet, size, breeding and of course their status. We have also themed Amazon World so that the information you see is relevant to your surroundings, for example: if you are in our destruction area there will be information on deforestation. Educational visits to the Isle of Wight are very popular and we have hundreds of school groups visit us every year. We provide a free 'Teacher's pack' for pre and post visit use and encourage pupils to get involved by sending us their posters and projects to display. We also believe that if information is presented in a fun way it is more likely to be remembered and that's where our displays and talks come in! Currently we are involved in research into the best husbandry techniques for a number of animals. 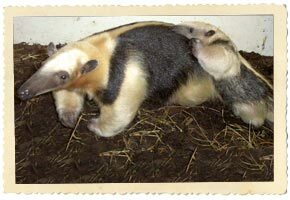 The Tamandua Anteater is a relative new comer to zoos in the UK. 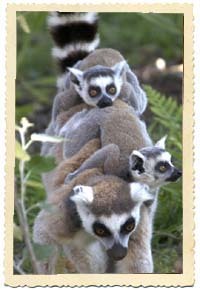 Our first ones arrived in 2000 and we were the first zoo in the UK ever to breed them. Not only have we successfully bred them, our latest baby had to be hand-reared. This means that we have, over the past 3 years, collected a huge amount of practical knowledge and information about this species and as more zoos in the UK are wanting to house them it is important that this information is made available to all in the best interests of the animals. 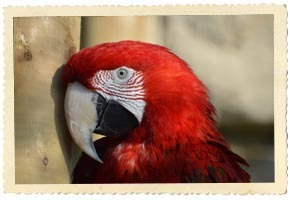 © Copyright Amazon World Zoo Park Ltd, all rights reserved. RJW Designs.